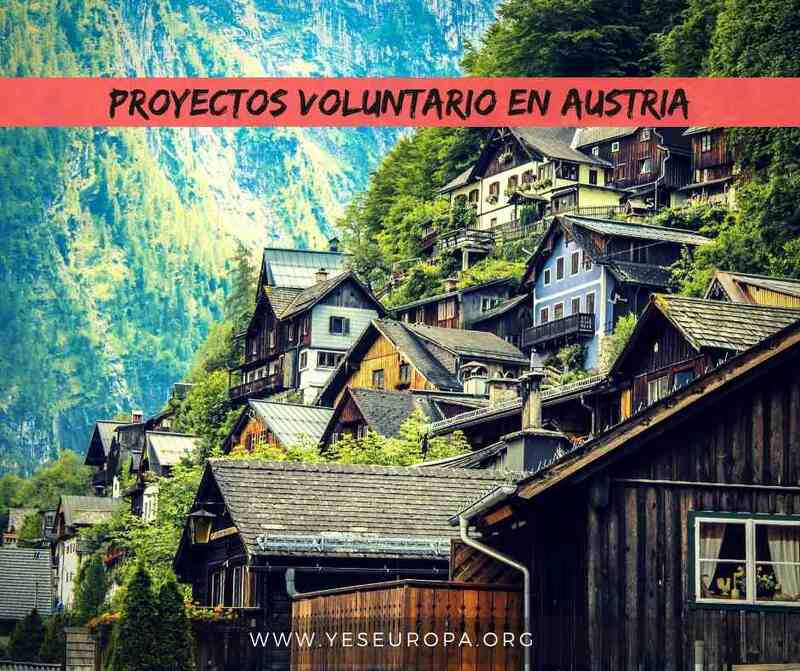 Apúntate ya a este Voluntariado europeo en Austria con todos los gastos pagados de alojamiento, viaje, seguro y dinero de bolsillo. For this EVS project, we have two department, where the volunteer will be a part of the team. It is a house with 8 apartments, there live 6-8 people with handicap/apartment. The volunteer can bring in his culture, abilities, ideas, creativity to present his way of living/culture/background into cooking, singing songs, creating free time activities with the people and so on. Therefore, it is up to the volunteer to define the project. We give the volunteer to settle into the flat and later on, the volunteer will be able to bring in his own ideas. Food/Meals: Each volunteer will receive a food of the project and allowance to cover his needs for all meals of the day – all Meals during the time in the working time, if the volunteers work in the morning they have breakfast and lunch, if they work in the afternoon lunch and dinner. For the other time the volunteer get money per month 140€. Working hours: The volunteers will have a flexible programme, depending on a large array of factors. It will be maximum 9 hours/day distributed throughout the day as needed. Early morning duty (Frühdienst) ca. 6:00-15:00, day shift (Tagdienst) ca. 8:00-16:30, evening shift (Spätdienst) ca. 11:30-20:00 also on weekend, max. two in a month. Accommodation: The EVS volunteers will be accommodated in a flat near the hosting project, in a safe area with a room on their own together with other volunteers. For the EVS project, we have 1 department, the Gemeinschaftswerkstatt, where the volunteer will be part of the team. In our Gemeinschaftswerkstatt are working 12 people with handicap and two staffs. 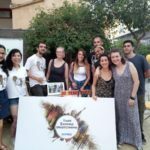 The volunteer can bring in his creativity and ideas into new projects, and of course in projects that are already happening. For example, we started to produce beeswax cloths; greeting cards made with seed paper; preparing raw sheep wool from our own farm for our carpets. We are weaving carpets on big looms, and the volunteers can try out to weave, together with a client, a carpet on their own. The volunteer will help the clients with their daily working tasks. We also collaborate with companies. They send us materials, and there are different tasks to do. The clients will need a little help to do the preparations and to finish the tasks. It’s also part of the job, to do easy exercises with clients, under guidance of a physiotherapist, to keep their agility. Taking walks with our clients are always very welcome. This are just some of the main tasks that we do in our group. According to the situation, it is possible to find new tasks. We are giving our best to help our volunteers to learn many skills using our working place. Finding their own way of getting a task finished, our volunteer will also learn how to include our clients in this certain process. Food/Meals: Each volunteer will receive food of the project and allowance to cover his needs for all meals of the day. Everyday it’s possible to have a snack during the morning break, and a lunch meal at midday (there is always a vegetarian option). 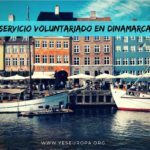 For the other time the volunteer get money per month 140€. Working hours: Monday to Friday from 9 am to 4 pm. No work during weekends and holidays. What can a volunteer learn? during this year you will learn on very understandable way how to work and assist people with disabilities. For the EVS project, we have 1 department, the Haus Abendfrieden, where the volunteer will be part of the team. Haus Abendfrieden is a house for people in the elderly care. There live in two flats (Hausgemeinschaften) 12 people. The volunteer can bring in his culture, abilities, ideas, creativity to present his way of living/culture/background into cooking, singing songs, creating free time activities with the people and so on. Therefore, it is up to the volunteer to define the project. We give the volunteer to settle into the Hausgemeinschaft and later on, the volunteer will be able to bring in his own ideas. For the EVS project, we have 1 department, where the volunteer will be part of the team. Given that it was once a house for deaconesses, Haus Bethanien has always been closely interwoven with the history of the Diakoniewerk, as a result of which it has a rich and eventful past. Following a refurbishment carried out in time for the 2015 Upper Austrian Special State Exhibition, it is now prepared for many new challenges, most important of which will be the creating of a common future with the people who live and work there. It has been shining in new splendour since September 2016, and is once again a place for communal work. The work that the deaconesses began more than 110 years ago (in 1909) at Haus Bethanien is continued today in a variety of activities under one roof. One of these areas is the art workshop, which offers a barrier-free workplace for 32 disabled people in one of our four creative and artistic fields of work. Most of the artists employed in the House work in two areas and are therefore multi-skilled. In each of these four departments, the disabled staff members are supervised throughout the day by a dedicated team. Since mid 2016 the artistic and creative departments that were previously situated in various locations have been housed in the same purpose-built facility. Each of the workers in the House applied for their position independently, and was accepted on merit. The art workshop studio offers a creative workspace in which the staff are professionally supervised to produce spectacular art. Types of art produced here include drawing, painting, printmaking and three-dimensional design. Its main focus is on developing an authentic, artistic style that can be regarded as truly contemporary. In various projects and workshops an exciting exchange takes place on an equal footing with national and international artists. We participate in exhibition cooperations; the most outstanding works of our artists are featured in highly-regarded Austrian collections. Their ideas are often used for artistic and graphic applications, and for product design. Diakoniewerk’s art studio celebrates its 20th anniversary in 2020. It is important to us that the art workshop is publicly acknowledged through exhibitions and publications, as well as through dialogue and exchange with other institutions, all the while with the aim of co-operating with other contemporary artists. The studio thus gladly cooperates with external partners, as well as in national and international projects. In addition to the sale of originals, the artistic works have often been integrated within the framework of “Kunst am Bau” projects. The works of art have also been used in products such as our “derart” (“in such a way”) crockery, and in the making of printed graphics. The Malaria Theater is an initiative of artistic people from the Diakoniewerk at Gallneukirchen. The eleven-member ensemble works on its own creations in co-operation with freelance guest actors and musicians as well as with our own internal artistic and educational team. Performance hallmarks have included witty sketches and word creations, as well as emotional plays which have achieved audience acclaim. The production process of longer plays, lasting between 65 to 90 minutes, can take at least two years. In the meanwhile, the ensemble may work on small art projects. In order to promote the various facets of creative expression, the ensemble uses several theatrical forms. Bildungswerkstatt = the performers are taught the basics of theatrical expression, the internal team being complemented by guest lecturers. Production workshop = the actors’ ideas are presented through interpretive dance. Theatre sketches, improvisation, literature and pictorial figures are used here. Networking within the cultural landscape = participation in festivals, public appearances, readings, exhibitions and radio broadcasts. In 2018, Diakoniewerk’s Malaria Theater celebrated its 20th anniversary. This department concentrates on team-building activities, the promotion of independent work, and their integration into group-specific work processes. The Macherei is responsible for the maintenance of the online shop, which sells products from the Diakoniewerk workshops. Its product line is known as “derart” (“in such a way”). The shop is managed by learning-disabled staff members, and this includes the processing of the incoming orders, the packaging and shipping of the goods, and the managing of the stock. The Macherei’s tasks include product photography, miscellaneous social errands, and services for internal and external partners, as well as generally supporting other groups in the House. Another focus is the professional support of our stalls at fairs, markets and festivals throughout the year. The transfer of knowledge is an important part of the Diakoniewerk’s disability work. The media workshop publishes the magazine “ICH und WIR” on a quarterly basis. Under the motto “by disabled people, for disabled people” the journal “ICH und WIR” is written by disabled staff members in the media workshop. The texts are written in simple language. Editing, photography and customer service are taught in the media workshop. These employees use their creative skills to successfully implement the numerous different tasks involved in newspaper production. Customer-oriented work is a high priority in the media workshop, both internally and for external partners. In addition to the Magazine, the media workshop also makes labels for chocolates and waffles, and undertakes much photography. The media workshop also regularly contributes to the ‘Free Radio Freistadt’. These contributions may be heard as part of the series “In the Middle of Life”. Working hours: Monday to Friday from 8:00/8:30 am to 3:30/ 4 pm. No work during weekends and holidays. 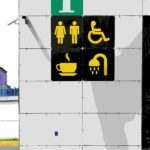 how to find new ideas and creativity and also how to realize them during this year you will learn on very understandable way how to work and assist people with disabilities. The Martin Boos-Landesschule is a school for pupils with special needs. There are eight classes for handicapped children and four inclusive classes ( www.lss-gallneukirchen.ac.at ). 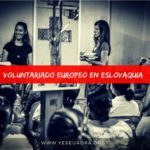 For the EVS project, we have 1 department, The volunteer will be part of a team of three pedagogues. He / she can learn to work with a professional team get to know the needs and abilities of pupils with special needs notice and understand the motives why pupils with special needs behave as they do Meals: The volunteer can have his/ her lunch at school. 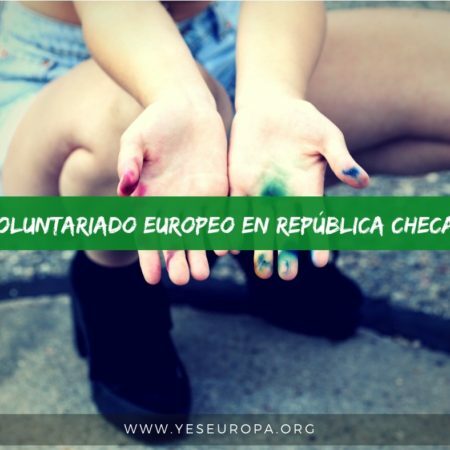 For the other time the volunteer get money per month 140€. Working hours: We start at 8.00 am and finish between 12.00 pm and 4.30 pm depending on the weekday. 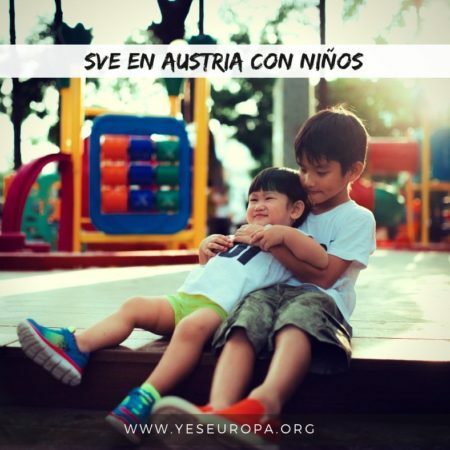 In different Organisations in Upper Austria we want to have the support and ideas from European Volunteers. The different hosting organisations have already long term experience, some of them are new ones. Please find below the description of the different hosting projects and when applying please mention the title of the project! The organisation attends people with disabilities in living, working and educational interests. Our aim is to include people with disabilities into the society and support them to become as independant as possible. Our organisation offers a wide range of services to people with disabilities in Upper Austria e.g. assisted living, work, training, therapy, kindergarden. “Caritas für Menschen mit Behinderungen” is one of the largest organisations in Upper Austria, which provides services for people with disabilities. Sankt Isidor looks like a small village with one kindergarten, two afterschool care centres and five houses where children live (assisted living). In addition, there are two schools, a small church, an outdoor pool and many playgrounds for the children. In walking distance, one can find grocery shops and the next tram stop. Sankt Isidor lies close to the provincial capital of Upper Austria, Linz (just 10 minutes by tram). Linz is located next to the Danube and offers many cultural events. From Linz, one can reach the UNESCO world heritage area of Salzkammergut in under an hour by train. We offer three different kinds of projects for volunteers in St. Isidor: supporting either the Kindergarten, the afterschool care centre or with assisted living. Depending on a volunteer’s experience and preferences, we will be able to address the right kind of tasks. 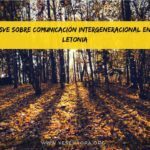 The main tasks are to support the staff in their daily work and to support the children in their leisure-time activities such as playing, sports, swimming, excursions, cooking. Further tasks include cleaning together with the children as a part of pedagogical tasks, as well as keeping rules in the team and setting boundaries for the children. Each volunteer will work in a group of five to eight children with and without disabilities. In the group, the volunteers will receive a warm lunch. Volunteers are working on their project from Monday until Thursday. Every volunteer has five weeks of holidays and is free on the public holidays aswell. In the Kindergarten and afterschool care centre, there are fixed holidays in the week before easter and during christmas time, in the assisted living one can take their holidays individually. 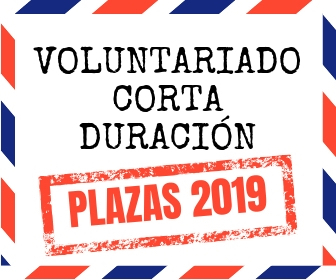 The accomodation for volunteers is located in the village of Sankt Isidor, so the distance between accomodation and project is within 100 meters. Volunteers have their own room in either a single flat or shared apartment with a shared kitchen, a TV, free wifi and laundry service. We encourage the volunteers to bring their own culture, abilities, ideas and creativity into the group by cooking, singing songs, creating leisure-time activities and so on. Thus, the children in the groups can experience a new culture, new traditions and widen their horizon through cultural exchanges. In return, the volunteers will get an insight into the Austrian culture and into working with children with disabilities. Thus intercultural learning and communication shall be the aim for both the volunteer and the host organisation. In addition, the volunteers receive full support from our staff and their mentor. St. Elisabeth is located in Linz, the provincial capital of Upper Austria, on the hill “Froschberg” close to the city centre and the city parks aswell. Linz is located next to the Danube and offers many cultural events. From Linz, one can reach the UNESCO world heritage area of Salzkammergut in under an hour by train. The project for volunteers in St. Elisabeth is called “Werkstätten” or sheltered workshopsThe project is responsible for the educational qualification for young people with disabilities at the age of 15 to 30 years. One workshop is specialised on blind and visually impaired people, the second workshop offers several qualifications (such as learning to use a computer, sewing, working in a grocery shop, cooking, metalwork and many more). The practical education is accompanied by regular learning sessions, training job skills, individual coachings and internships in companies. We try to focus on the individual strengths, interests, needs and wishes of the young people. 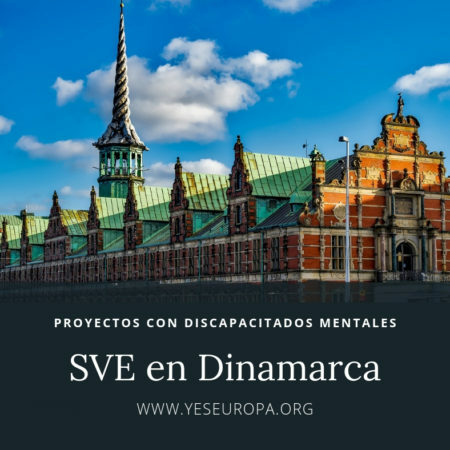 The aim of the project is to integrate young people with disabilities into free labour market. 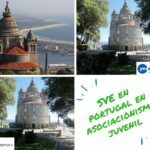 The volunteer will assist staff members in the project by helping to train and educate a group of four to eight young people with disabilities. The volunteer will support our staff in daily routines, e.g. assisting leading training-sessions, learning with the youths, training job competences, social competences and so on. The volunteers learn about working in a multi-professional team, pursuing the individual goals (of the young people) together with the staff and about assisting people with disabilities on high pedagogic standards. We encourage the volunteers to bring their own culture, abilities, ideas and creativity into the group by cooking, singing songs, creating leisure-time activities and so on. Thus, the young people in the workshops can experience a new culture, new traditions and widen their horizon through cultural exchanges. In return, the volunteers will get an insight into the Austrian culture and into working with young people with disabilities. Thus, intercultural learning and communication shall be the aim for both the volunteer and the host organisation. In addition, the volunteers receive full support from our staff and their mentor. We provide a small appartement (single bedrooms) for the volunteers in the building, where they will work. The accomodation is equipped with a small kitchen, shower/WC, TV, free wifi and a washing machine. By car, the next bigger cities are just about an hour drive away. Passau (Germany) can be reached within 29 km and the Upper Austrians capital Linz is only 56 km away. In these cities you will find malls, movie theatres, nightlife, etc. Ezell has a public transportation system (busses), which runs on a regular basis e.g. to Linz, Schärding, Passau but only a few times a day, and on a reduced schedule on weekends. You will have the possibility to use our company car for leisure time activities. Therefore it is necessary if the volunteers are in possession of a valid driving license class B. In order to explore the close surroundings of Engelhartszell, we provide a bicycle if needed. All of our volunteers will be in different groups (living or activity group). Depending on an applicant’s experience and preferences, we will be able to address the right kind of tasks. They will support our staff in their daily work. Typical tasks will be to support our clients to run their household, prepare food, support our clients in their daily routines (dressing, cooking, writing, reading, talking, cleaning, etc. ), accompany them to their work places, and support them with their work tasks, and to accompanion them during their leisure time (taking a walk, out- and indoor activities, movies, swimming, theatre, concerts, handi-craft work, etc.). In the beginning of the project the volunteers will settle and get to know their project group. Later on the volunteer can also bring in her/his own ideas to the project. Every volunteer will have his/her own furnished bedroom in an appartment with a shared bathroom, living room/kitchen. The common rooms are equipped with a TV, and free WiFi, washing machine. Here in Engelhartszell we have an operational kitchen for the staff and for the clients. Our future volunteers will have access to free lunch and a free snack in the forenoon.